What’s great about independent watchmaking is that you’re not only talking about watches. You’re talking about esthetic choices, technical skills and passion. 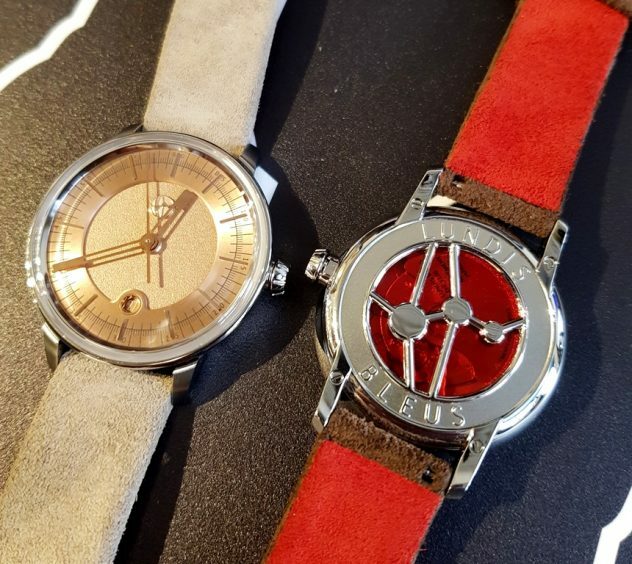 All mixed together in order for some brands to propose watches made with great creativity, great craftsmanship, recognizable among all thanks to their design. And all that sold for a reasonable price. Lundis Bleus is one of those brands. 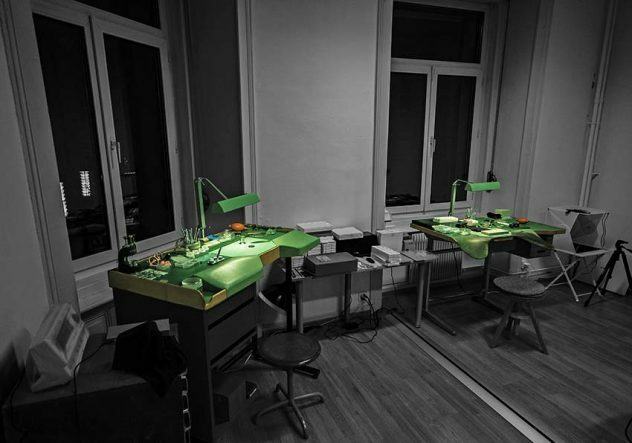 Initiated by friendship in 1994 when the two founders, Johan Storni and Bastien Vuilliomenet, meet in the watchmaking school of La Chaux-de-Fonds in Switzerland; the brand started to produce watches in 2016. In between, 1998 was the year of their graduation. Then, they both continued their studies and got experiences and skills in several domains such as design, watch restoration or watch construction in manufactures like Renaud & Papi (Audemars Piguet), La Joux-Perret or Richard Mille. All of this process leading in finally getting an overview of the watch industry and a clear vision of what kind of watches they really wanted to produce: simple and classy watches made with passion and traditional skills in the town where all began: La Chaux De Fonds, Switzerland. The first collection is named ESSENTIELLES. This collection presents three hands watches with a Date indicator at six o’clock. The result is a really good looking mix between classicism in both high-class details and rose gold markers, and contemporary design using multilayer dials. The collection also proposes a large choice of colors for the hands and dials, ending up to establish eight possible combinations from reference 1100-01 to reference 1100-08. All models are powered by an automatic Japanese movement: the Miyota 9015. 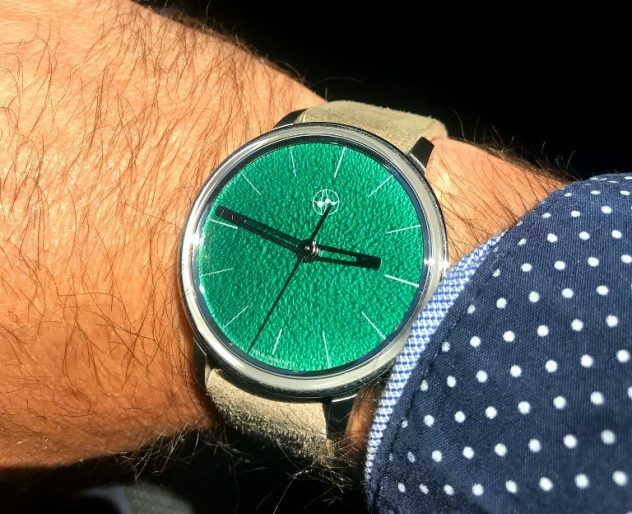 But you can get an ETA 2892 instead in the ESSENTIELLES + range. Simple, Functional, classy and really well made. The kind of watch that people stare at when they see it on your wrist; not because its shiny or big, but because it has presence. The second collection is named CONTEMPORAINES. This collection presents three hands watches. 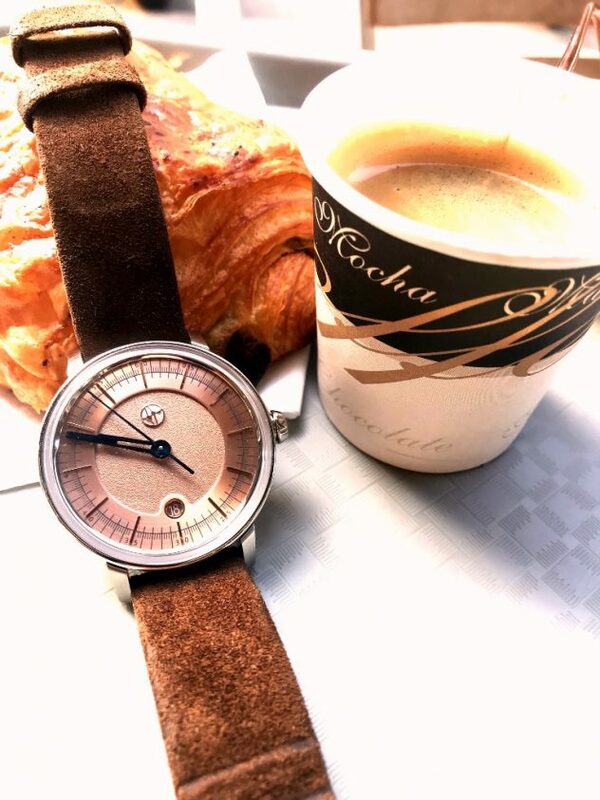 Loosing the date complication, the watches get an Onyx stone, an Aventurine Stone, or a Grand Feu enameled dial witch is hand-made with passion and great talent by Bastien at the factory itself. For those who didn’t know, the “Grand Feu” enamel is a decorative technique used in watchmaking. 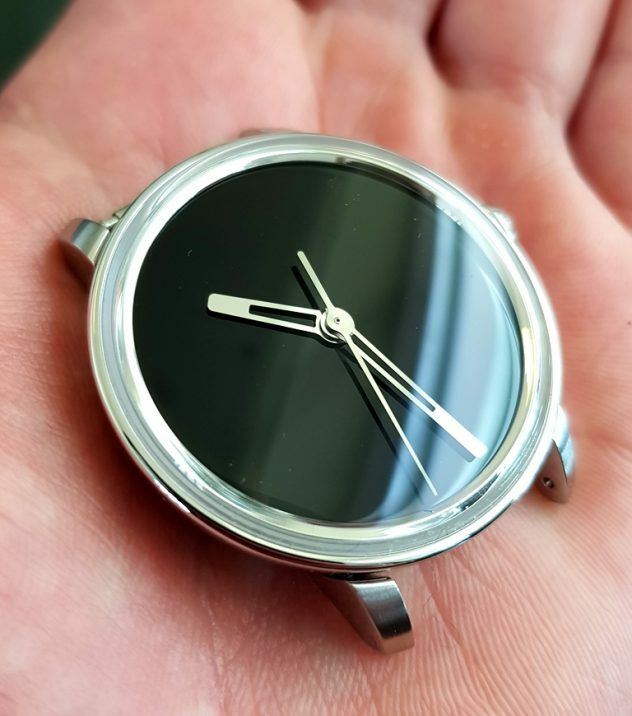 This is one of the most difficult technique of the art of watches decorating which offers as well the highest durability. The enameler first works on a silver dial. Then he moves the dial into fire (800-900° C) several times to allow colors appear gradually. The “Grand Feu” enamel sets unalterable and refined decoration and gets three color possibilities at Lundis Bleus: Blue, Red and Green. As a result, you obtain a watch that captures and reflects the light in outstanding ways. Again, the caliber is a Japanese automatic one, the Miyota 9015. The third collection is named METIERS D’ART. Like the CONTEMPORAINES range, this collection proposes three hands watches. But this time powered by the ETA 2892 Swiss Movement, and presenting a two-layers dial. First layer being composed of a silver hand engraved then Grand Feu enameled center dial. Completed by a second layer in black or white on which are applied rhodium or rose gold indexes. The METIERS D’ART collection offers several dial possibilities: five enameled dials and two stones dials ( Onyx and Aventurine) under the references 1100-MA. 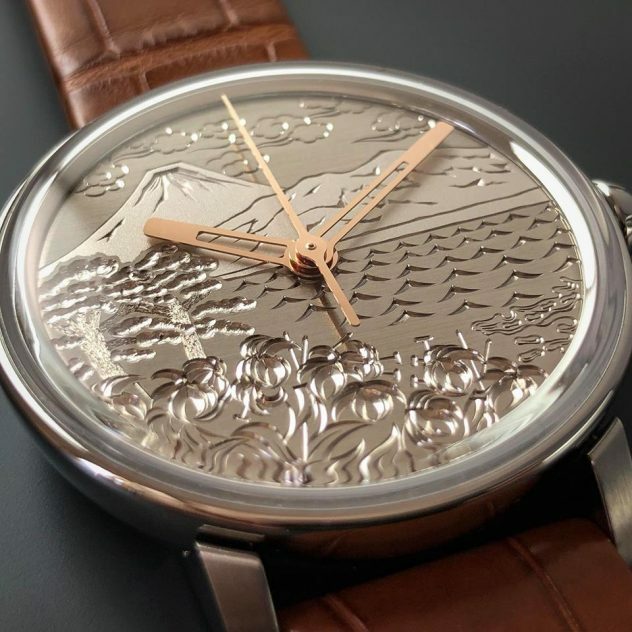 Plus one exceptional model proposed in a unique piece: the 1110-GM Fujisan where the dial is made of grey gold and engraved by hand. 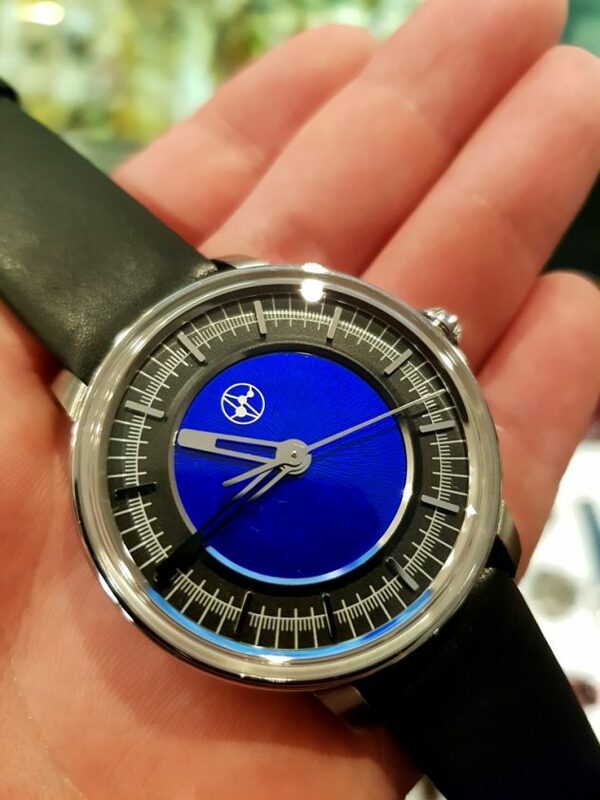 At the end, with Lundis Bleus you simply get simple, emotional and very classy watches that are made with passion, respect and mastery for an affordable price of 1900 CHF for the ESSENTIELLES, and 2600 CHF for accessing the prestigious technique of the « émail Grand Feu » that big brands sell for muuuuch more higher prices without the same liberty of style and personal relationship with the creators and enameler ! !